Happy Memorial Day everyone!! 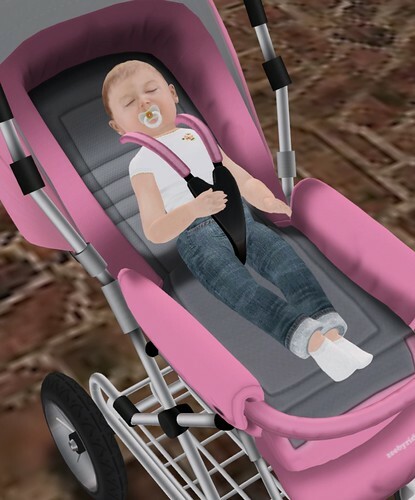 I took my baby out for a stroll at the New York sims to try some of the newly released Zooby Baby products. I just love how interactive the baby is, and Zooby is constantly releasing new products for the baby to encourage parents (owners) to play with their baby more often. 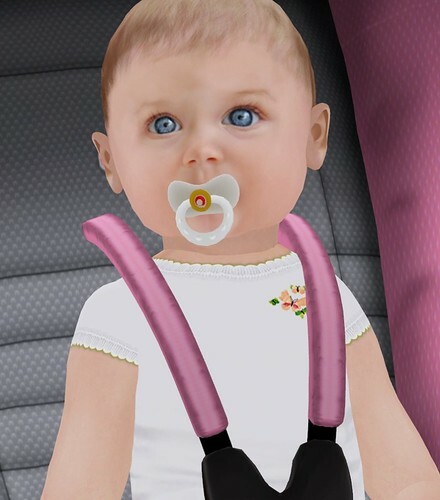 This is the Zooby Baby Lite Pink Snugseat. The snugseat is scripted to use with the Baby and Newborn (to be released soon). You can also change the look of it by having the Hood on or off, the straps on or off, and also includes an AO Walk for male and female. I also fell in love with the Zooby Baby Lite Pink Pram Carriage. I had a stroller before but this one has a new Pink color that I love. The baby looks sooo happy in this carriage! 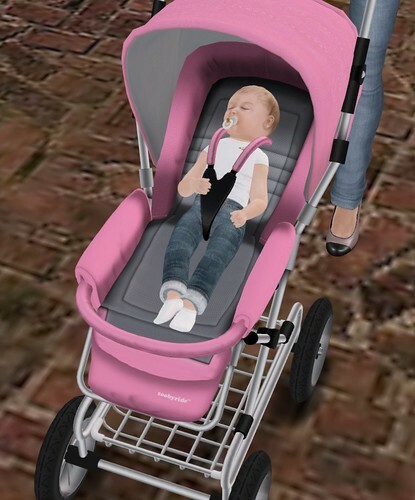 The Zooby Baby Lite Pink Pram Carriage is scripted to work with the Baby and Newborn, you can have the Shade Up or Shade down, Straps Off or Straps On, and also have the baby be Awake or in the Sleep option. It’s *completely* interactive and even includes an AO Walk for male and female. Aw! The baby fell asleep! I love your shoes! Can you share where you got them? Oddly I find this baby very cute! I couldn’t care less for the whole baby theme, but wow, that carriage is a work of art! Hi this is in the sims 3?